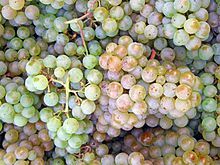 Let’s start with the answer to the wine quiz #113: Grape Trivia – Pinot Blanc. In the quiz, you were supposed to answer 5 questions about white grape from the Pinot family, Pinot Blanc. A2: True. By a very slim margin, but there are 2 Pinot Blanc wines with the 95 rating (there are plenty in the Outstanding, 90-94 range). As a matter of fact, one of those 95 pointers comes from the New World – 2009 Erath Pinot Blanc Dundee Hills Sweet Harvest from Oregon got that “classic” rating in April 2011 issue. A3: Chardonnay. Historically, Pinot Blanc was growing side by side with Chardonnay, and was often confused for one. Similar to Chardonnay, it can be made in both unoaked and oaked styles with equal success. A4: Melon de Bourgogne, French grape used in the production of Muscadet wines. A5: False. From 2000 to 2010, the plantings of Pinot Blanc dropped by about 15%, while the plantings of Pinot Gris more than tripled worldwide. When it comes to the results, I’m glad to say that the number of players took a stub at this quiz – but, somehow the quiz happened to be somewhat difficult (I usually miss the difficulty in my own assessment, unfortunately). Nobody was able to answer all the questions correctly, but I would like to acknowledge Next Stop TBD who got correct answers for 3 questions out of 5. Thank you all for playing! 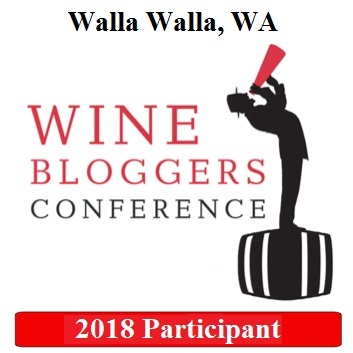 Alfonso Cevola, who writes an excellent blog “On the wine trail in Italy”, shared his sad outlook on the wine blogging community with the post titled Wine Blog Death Watch: Two wine blogs that are bright lights in a forest of darkness. Well, it is not all doom and gloom in that blog post. First, Alfonso introduces two new wine blogs which he likes. 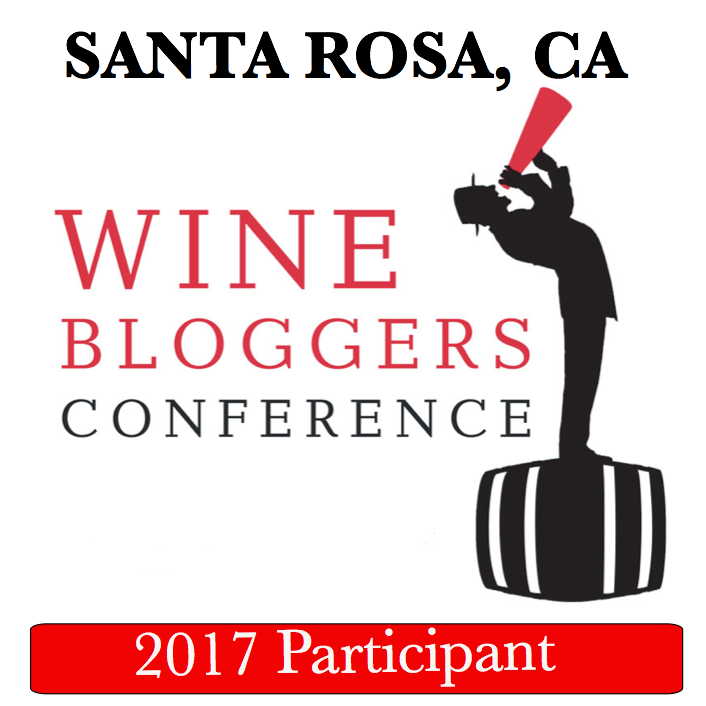 And may be most importantly, speaking from the 9 years of blogging experience, he also gives an advice to the wine bloggers. His advice is very short and concise, and I would dare to say, literally the best you can get. Alfonso has only six bullet points, so taking just the key items themselves, here is a summary of what he suggests: “Write for yourself. Read great writers. Do not look at stats. Write consistently. Don’t follow the trends. Find your niche.” Touche. I can only add “amen”. Tonight we will take a deep dive into the world of Finger Lakes Rieslings – the #winechat with 8 producers, 8 excellent wines from the 2013 vintage – join the conversation! The logistics are as usual – at 9 PM eastern, open a twitter client and search for #winechat – from there, the conversation is on, and don’t forget to use hashtag #winechat on all your tweets. Do you know that when you drink the wine (or any alcohol for that matter), you should have water in between the glasses? It supposed to prevent hungover (some of the latest research suggests that it might not be true, who knows), and water is generally good for you. Some of the creative types designed nested glasses which would simplify this task for you – both wine and water are readily in your hand at any time, wine glass on top of the water glass. You can read about this glasses in the Dr. Vino’s blog post. Got a bit of time on your hands? Wine Spectator is running an annual wine video contest, and you can help to decide who made the best video. Wine Spectator selected 9 videos as the finalists, so your job would be simple – watch those videos and decide who will be the Grand Prize winner. Here is the link to the page for you to watch the videos and take vote. We are continuing our grape trivia series, and today’s subject is Müller-Thurgau. 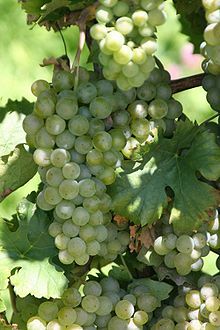 Müller-Thurgau is a white grape which was created in 1882 by the Swiss botanist Hermann Müller, who lived in the area called Thurgau, hence the name of the grape. While Hermann Müller thought that he was crossing Riesling with Sylvaner to create Müller-Thurgau, DNA tests of very recent showed that instead of Sylvaner, the second parent was the grape called Madeleine Royale. Riesling, of course, needs no introduction, I would like to mention that Madeleine Royale is known to ripen extremely early, sometimes by the 22nd of July, the feast day of Mary Magdalene (according to Wikipedia), hence the name. Müller-Thurgau was created to have the great qualities of Riesling, combined with the early ripening ability of ( then thought to be ) Sylvaner. The design worked quite successfully, and resulting grape became quite popular in Germany and many other countries – according to the 2010 data, it was still one of 15 most planted white grapes in the world. Müller-Thurgau is known for its pleasant flavor profile of peaches, apples and pears. The problem with the grape, however, is a low acidity, which generally leads to the flat, flabby wines. This is one of the reasons why Müller-Thurgau mostly used as a blending grapes and rarely becomes the star of its own. However, the grape has worldwide following among winemakers who swear by it and produce interesting wines worth drinking. Absolute majority of the wines are the blends of some sort, but there is one wine which to me is a complete standout in terms of the art of blending – I’m talking about Champagne. A typical bottle of the so called Non-Vintage Champagne is a blend of different wines from different vintages, all magically concocted together to achieve the consistent taste. As a special tribute to Champagne, I would like to focus today’s quiz only on the sparkling wines, which nowadays are produced absolutely everywhere. Q1: French sparkling wines produced outside of the Champagne region are generally called Crémant. Today, the Crémant wines are produced in most of the well known regions in France, each region imposing its own requirements on the winemaking techniques. For one of sparkling wines below, if it is identified as Crémant Blanc, it is required for at least 50% of the grapes to be Chardonnay. Do you know which wine has this requirement? Q3: Dom Pérignon, a benedictine monk, largely considered to be the father of Champagne, had a very significant impact on creation the Champagne as we know it. From the list below, what do you think was Dom Pérignon’s major claim to fame? Q4: Below is the blend composition of the sparkling wine – can you name it? Q5: As tomorrow is the Mother’s Day in US, here is probably an open ended and debatable question, but: Who would you call the Mother of Champagne and why? Let’s start with the answer to the wine quiz #99, Grape Trivia – Blends, Part 3. For the long time, the grape trivia series was focused on the single grapes. But now we are stirring things up, so all the questions in the quiz are about blends (well, even if it is a blend of one), as most of the wines in the world are actually blends. As usual, there were 5 questions in the quiz. Q1: Sangiovese is the main grape used in production of Chianti. By itself, sometimes it might lack the intensity of the color. 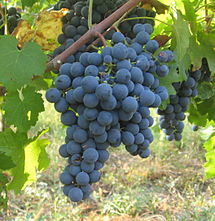 For a while, another grape was added to Sangiovese wines specifically to enhance their color. Can you name that grape? A1: Colorino. It was popular addition for a short while, but now only very few producers still add it. Q2: I’m blending together Xarel-lo, Macabeo and Parellada. Which wine I’m most likely making? A2: Cava – the Spanish sparkling wine. These three grapes are generally a classic blend for a Spanish Cava. Q3: In the past, this white grape used to be blended into the Chianti wines, and now its use is simply prohibited in some of those Chianti wines. Can you name that grape? A3: Trebbiano, a.k.a. Ugni Blanc, a.k.a. Malvasia Fina (be careful – just using the name Malvasia is incorrect). It used to be a required grape in the Chianti blend, which was leading to diluted, dull wines. Since 2006, Trebbiano use is banned in Chianti Classico wines. Q4: You can say whatever you want, but Bordeaux and Burgundy are the hallmarks of wine world, and everybody try to measure up to them. Name two regions in Italy, one sometimes compared to Bordeaux, and another one to Burgundy. A4: Tuscany is often compared to Bordeaux, and Piedmont, or to be more specific, Barolo wines, are often compared to the Burgundy. While Tuscany/Bordeaux parallel is more of the terroir/climate based, the reason for Barolo/Burgundy comparison lies in complicated Vineyard/Sub-zone/Cru/Parcel system of wine identification in Barolo. A5: Tribidrag. 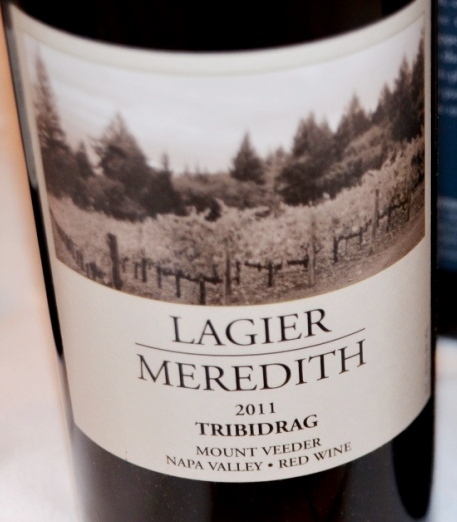 All the listed grapes are close relatives of Zinfandel, with Tribidrag being recently discovered as direct predecessor of Zinfandel. When it comes to the results, we had a great participation in the quiz, and we have a winner – Julian of VinoinLove, who correctly answered all 5 questions! Julian get the coveted prize of unlimited bragging rights. Also Gene Castellino (no web site), Jeff a.k.a.the drunken cyclist and Mario Plazio (no web site) are all answered correctly 4 questions out of 5, and they get the honorable mention. Well done, everyone – and we are going to continue blending things up for a while. Last week’s #winechat was all about Biodynamics – we were talking about the wines of Youngberg Hill, the winery in Oregon, were the wines are made using biodynamics. I understand that there is a lot of controversy surrounding the concept of Biodynamics, with all the cow horns, bladders and water manipulations – but a lot of it makes sense if you think about the whole approach holistically. I want to share with you a great article from The Oregonian, which explains in detail how biodynamics works in the vineyard. Rioja is coming to New York City! Starting Saturday, April 26, there will be a whole slew of events taking place all over the city – seminars, tastings, grand tasting, wine and tapas event and more. Don’t miss the opportunity to experience the vibrancy of the magical Rioja – here is your link for all the information regarding the Rioja festivities. I will be attending the trade tasting and seminar on Thursday – drop me a note if you plan to be there as well. Heard of water witching? It appears that Marc Mondavi, a son of the legendary winemaker Peter Mondavi, not only makes wine in California – he also possesses special abilities to find water under ground, using set of two special rods. Whether you believe in the water witchery or not, this video and the blog post are quite interesting. Last but least for today – don’t miss the #winechat tonight! Last from the Oregon Pinot Noir series, tonight we will be talking about the wines of J Wrigley Vineyard – #winechat is easy to join on twitter, just follow the #winechat hashtag, and they are always fun! 9 PM Easter/ 6 PM Pacific – don’t miss it! Let’s start with the answer to the wine quiz #97, Grape Trivia – Blends, Part 1. While this quiz is still a part of the Grape Trivia, it is slightly a new twist on the grapes – the questions are centered on the concept of blends, to stir things up a bit. Despite the fact that we are almost at a hundred of posts in the quiz series, it was still a learning experience for me – not from the point of view of the content, which is always a part of the learning exercise – but from point of view of being able to state the questions correctly to make sure there can be only one correct answer to that question. Read on, and you will see what I mean. Q1: Which grape is missing? A1: This was a very easy one – yes, this is a classic Bordeaux blend, so the missing grape is Malbec. Q2: Wines of this region, made out of Sauvignon Blanc and Sémillon, considered some of the best white wines in the world. Can you name that region? A2: This is the questions which was supposed to be phrased better. I believe my expected correct answer will work here, but mostly as a technicality and not because it is squarely one and only answer. So the correct answer here is Pessac-Léognan, a region in Bordeaux, which produces both white and red wines, but their dry white wines, made out of Sauvignon Blanc and Sémillon, are long living and spectacular ( and equally expensive). Number of people put Sauternes as an answer for this question. Technically, the wines in Sauternes are made out of Sémillon, Sauvignon Blanc, and Muscadelle grapes – thus technically, Sauternes is not the right answer. However, most famous Sauternes, Chateau d’Yquem, is made only from Sémillon and Sauvignon Blanc, thus it is hard to say that Sauternes is a wrong answer. Have I asked about “some of the best DRY white wines”, Sauternes would have to be excluded. Q3: This wine might be the biggest officially sanctioned blend of the grapes in the world. Do you know what wine is that? A3: Again, precision was a bit off on this question. Yes, the correct answer is Châteauneuf-du-Pape, a region in the Southern Rhone in France, which allows up to 18 different grapes, both red and white, to be blended together, and there is a number of producers who do exactly that. Again, the word “dry” would help, as one of the answers was Port, where technically 82 varietals are allowed to be used in the appellation – however, the best Port is typically made only out of 6 grapes as the most, so Port is not the right answer here. Another suggested answer was Valle d’Aosta, a region in Italy which allows 19 different grapes to be used in production of the wines – however, the question was about grapes blended together, not just allowed to be used in the appellation. a. Can you explain what field blend is? A4a: Come to any (almost any) vineyard, and you will be able to see the rows of vines, all clearly identified – Cabernet Sauvignon, Merlot, Petit Verdot, etc. All the grapes harvested separately, pressed and fermented separately, and then blended together into the final wine as winemaker deems necessary. And then there are exceptions to this separate processing of the grapes. Such an exception is a field blend. Different grapes are growing together, sometimes without clear separation between different vines and grapes. All those different grapes are harvested together, pressed and vinified together, so don’t ask for specific percentages on the label, or even for the names of the individual grapes. Such field blends can be found in Portugal (many of the simpler Port wines made as field blends), Austria, Alsace and probably other places. b. Can you name this wine? A4b: My intended answer was Gemischter Satz – a white wine, a field blend produced from the vineyards in the Wiener Gemischter Satz DAC, which is located within the city limits of Vienna, Austria with the total vineyard area exceeding 1,700 acres. This is a dry, simple white wine, which should be made from at least 3 different white grape varieties, harvested and pressed together. It seems that Gemischter Satz wines are getting more popular as of recent, so here is the link where you can read more about them. Some of you said that the answer is White Port, which can be also made as a field blend, so again, I should’ve being more careful with the wording of the question – but right now, White Port also is an acceptable answer. Q5: This wine, one of the most famous in the world, is often made from 70% Cabernet Franc and 30% Merlot. Do you know what wine is that? A5: Chateau Cheval Blanc, one of the most famous Bordeaux wines in the world, uses Cabernet Franc and Merlot to make their wines. The ratio is not always 70/30, but conceptually it is enough to help you to come up with the right answer. When it comes to the results, I’m glad to report that there was a very good participation – the subject of blends definitely was less intimidating than those rare single grapes we got into. We have two winners today – the drunken cyclist and Connoisaurus both answered all 5 questions correctly, so they get the prize of unlimited bragging rights. Well done! Wine & Spirits magazine compiled the list of 25 top selling wines in US restaurants. According to that list, the #1 top selling restaurant wine in US is Cakebread Cellars with an average price of $86.48, followed by Jordan ($101.57) and then Duckhorn ($90.29) – here is the link for you to find more information. I would be really curious to know how many of you would consider ordering any of these wines in the restaurant especially at these prices (I wouldn’t). It will be also interesting to understand how the list was compiled, as the claim is that the information comes form the wine directors of the restaurants, and how many restaurants employ wine directors? Anyway, it is always interesting to take a look at the numbers. We all know that winemaking is an art. But there is nothing wrong in bringing the technology to help the artists to make better art. Wines and Vines published a very interesting article, talking about the tools which are either already available or might be available to the grape growers and winemakers to help them make better wines. Are you afraid of any wines? Do you get butterflies in your stomach as you open the door of your wine cabinet? Do you think any of the wines in your cellar hold some scary secrets? Is your hand trembling when you pull the cork out of the bottle, as you don’t know what might be hiding behind that cork? Well, it might be the time to face your fears – Jeff, a.k.a. The Drunken Cyclist, announced the theme of the Monthly Wine Writing Challenge #9, and as you probably guessed it, the theme is … Fear. Please take a look at this post for all the important dates and rules. It is so interesting how far the wineries and wine consortia would go to protect their names. In majority of the cases, it is the big guy going after the small guy, like Duckhorn Vineyards from California suing Duck Walk winery on Long Island, or the French INAO going after Fairview winery in South Africa to protect Côte-Rôtie against Goat Rotie. Latest case – now all local in France – is Mouton versus Mouton. Château Mouton Rothschild, first growth from Bordeaux, is suing winemaker Laurent Mouton from Burgundy, who had being making wines under Domaine Mouton label for 4 generations, to stop Domaine Mouton from using their own name on the label. Why now? I have no idea, but – for more details, here is the link for you. Last but not least for today – there is an interesting #winechat talking place tonight, in the Twittersphere next to you, at 9 PM Eastern time/6 PM Pacific, and your participation is greatly encouraged. If you are not familiar with the concept of #winechat, here is the blog post which will explain it. Today’s #winechat is the first out of three talking about the wines of Yamhill-Carlton AVA in Oregon, and the wine which will be discussed today is Lenné Estate Pinot Noir. Yes, I know, short notice – but, if you have time, join the #winechat and learn more! Weekly Wine Quiz: Grape Trivia Anthology! Yep, it is just “welcome to the weekend”, and not your new wine quiz. 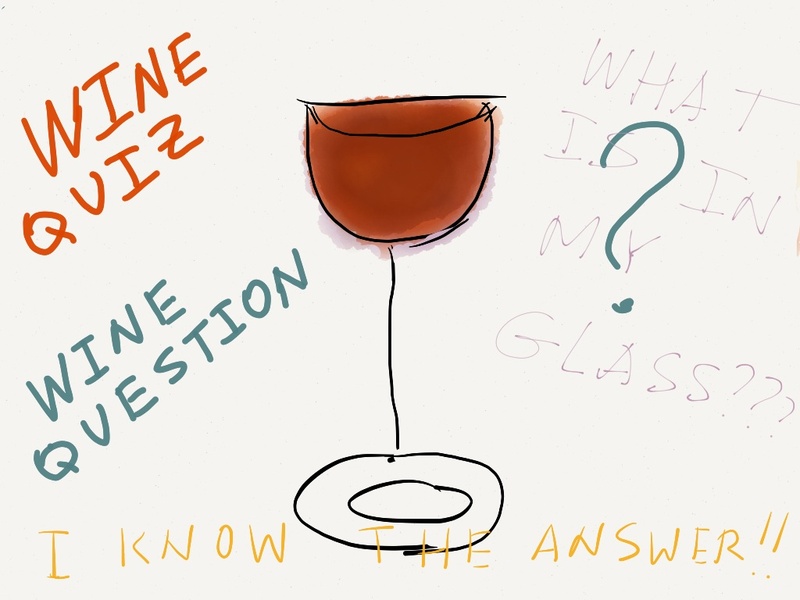 We are in the middle of the long weekend, and I didn’t have time to work on the new grape trivia quiz – therefore, as I have done in the past, I just want to offer you a little retrospective into the grape trivia series of the wine quizzes. What do you think is harder – to solve the quiz or to create the quiz? I can attest that it is the latter. When you are creating a quiz, you really want to have a balance of difficulty among all the questions – and the quiz should be entertaining enough for the people to attempt to solve it. Similarly to the cooking, where you might spend 2-3 hours preparing the dish, afterwards consumed in 20 minutes (glad it doesn’t take years as with making of the wine) – sometimes, it might take more than 2 hours to create the quiz, and there is a good chance that you will only spend 10 minutes solving it. But again, same as with cooking, which we do because we like the magic of putting pieces together and creating something new, something of the interest to the others, creation of the quiz is definitely a fun process and great learning opportunity. Below you will find the list of the grape trivia quizzes included into the series so far. There are links for both quiz and the answer, feel free to play with them any way you want. And as always, any thoughts, comments and suggestions will be most appreciated! The quizzes will resume next Saturday. Enjoy your weekend and cheers! We are continuing our grape trivia series, with the focus again on the red grapes, and today’s subject is Carménère. Let’s start with pre-quiz before the quiz. Class, how many of you heard of the Carménère grape, raise your hands. Ok, now, how many of you tasted the Carménère wines, raise your hands. Okay, those of you who raised their hand twice, can probably skip directly to the main quiz, and for the rest of us, lets talk about Carménère. When it comes to the Bordeaux, everybody knows five main grapes – Cabernet Sauvignon, Merlot, Cabernet Franc, Malbec and Petit Verdot. Truth of the matter is that it is actually six – and Carménère is that grape number six. Until the Phylloxera epidemic of the 1870s in France, Carménère was probably one of the leading grapes in Bordeaux. Carménère is related to the Cabernet family, it most likely predates both Cabernet Franc and Cabernet Sauvignon, and it was probably the driving force behind power and finesse of Claret of the 1800s and even before. However, Carménère is a difficult grape to work with – it ripens two to three weeks later than Merlot, and it is susceptible to the viticultural hazard called coulure – the condition when in the cold spring the buds will fail to turn into the flowers. It also doesn’t graft on the new rootstock very easily. So the combination these issues lead to the situation that after the Phylloxera epidemic, the grape was practically not replanted back in Bordeaux, and it was literally considered extinct (it exists today in France, but in the extremely low quantities). During the 1850s, a lot of Cabernet Sauvignon and Merlot cuttings made it to Chile – both in legal and probably illegal ways. For the long time, Chilean winemakers were wondering, why some of their Merlot plantings ripen so late compare to the others, and have a different flavor profile – those grapes where considered to be a specific Chilean Merlot clone. Until in 1994 it was discovered that Chilean Merlot is actually a … Carménère! Carménère made it to Chile in 1850s as part of those Cabernet Sauvignon and Merlot cuttings, and it happened to strive in the warm and dry climate. Today, Chile has almost 9,000 hectares planted with Carménère, and it is widely considered one of the best wines Chile can produce. When ripen properly, Carménère produces excellent powerful wines with the fruit profile somewhat similar to Cabernet Sauvignon and Merlot, but with very present herbal and spicy component of sage, pepper, eucalyptus and even menthol. Q2:Similar to Merlot/Carménère confusion in Chile, the discovery was recently made in one of the well known old world wine producing countries – the grape they thought was ___, actually happened to be a Carménère. Name the grape, the country, and the region within this country where confusion took place. Q3: As the sequel to the previous question – the confusion also spread into the New Wolrd winemaking country. Name the grape been mistaken and the country. Q5: Name three grapes, often blended together with Carménère.